Joining our online alumni group is one of the best ways to show your Tabor Pride. Reach out and re-visit your unforgettable “Summer by the Sea” with past fellow campers and staff from around the world. Please note: This resource is for those who are NO longer Tabor Summer campers or staff members. This is a self-subscribing/unsubscribing group. The office confirms all requests before registration is confirmed. Since 1917, Tabor Summer Camp takes advantage of its unique seaside setting. The program was for boys only until the winter school went coeducational in 1977. Academics (now enrichment courses) have always played a part in the program, but activities are the major component of the program. Campers attend the program for a variety of reasons, but the main goal is creating a joyful, safe, and productive summer experience away from home for both our day and residential campers. Our staff are role models and teach campers how to make new friends, learn new skills, and gain independence. Tabor Summer Alumni...Where are they NOW? If you would like to share your Tabor Summer experience with others, we would LOVE to hear from you! Please feel free to email us, at summer@taboracademy.org, your story, pictures, and let us know what you are up to now. We will only include your first name, and the year(s) you attended on this page. The summer program was founded in 1917, and began as an all boys’ camp. The program offered activities such as, baseball, riflery, sailing, tennis, shop work and track. 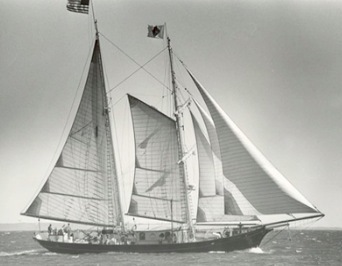 The SSV TABOR BOY is a ninety-two foot, gaff-rigged, two-masted schooner and has been a part of Tabor since 1954. She is one of two Coast Guard inspected vessels in her class that operates in the Northeast United States. 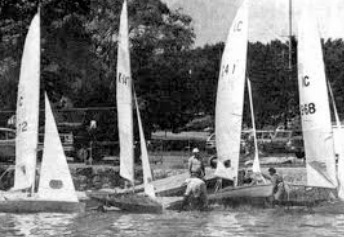 In 1946, the summer program had a fleet of twenty-nine small boats, which was comprised of sloop-rigged Zip’s, Wood Pussie’s and Cape Cod Mercury’s.